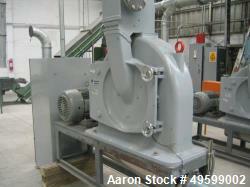 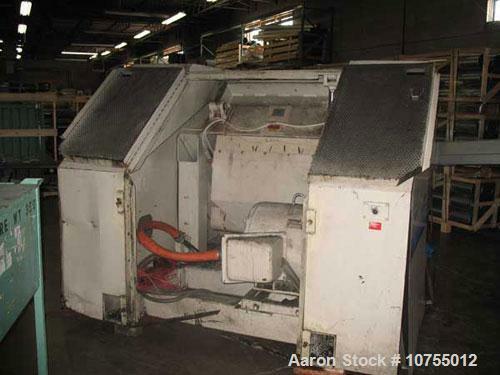 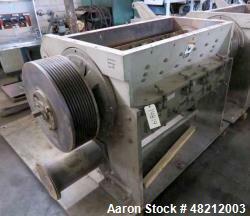 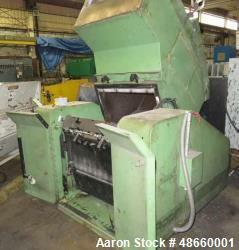 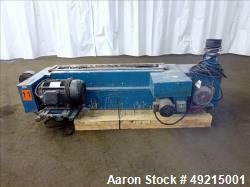 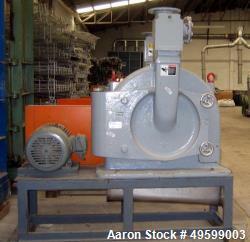 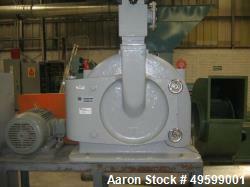 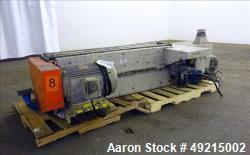 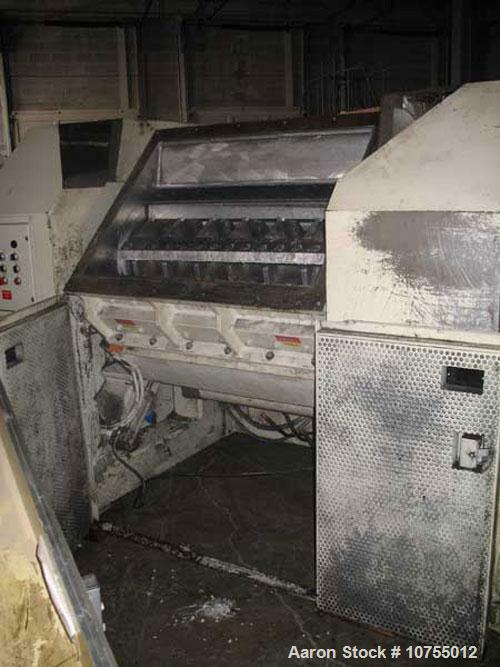 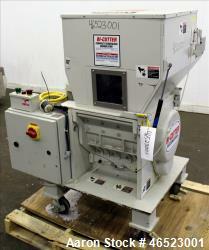 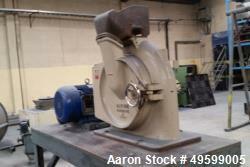 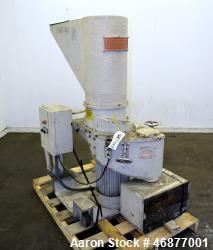 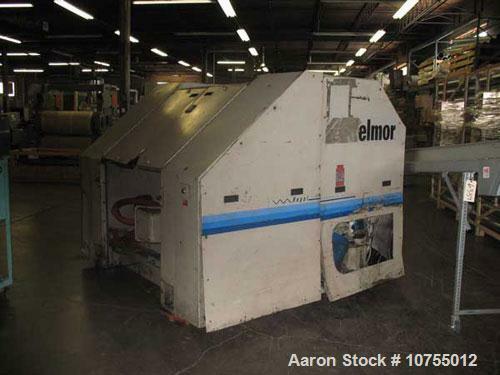 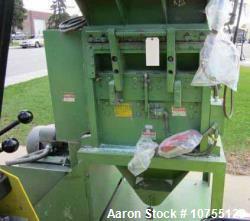 Used-Nelmor model RG2244 granulator. 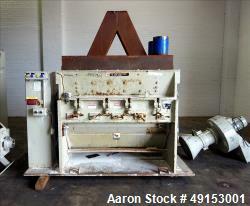 22" x 44" feed throat, 5 knife open rotor, 2 bed knife, 150 hp, 460 volt motor, dual feed insulated hopper, hydraulic assisted tilt back hopper and drop down screen cradle, sound suppression enclosure, forklift rail entry base, 8" airveyor discharge. 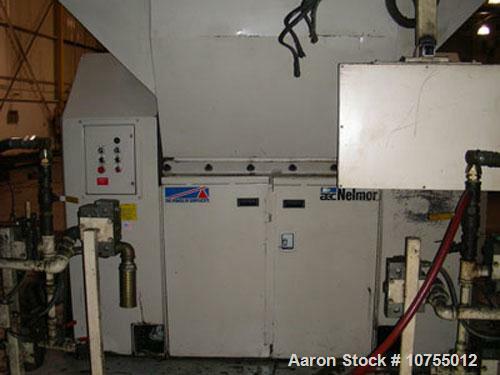 Includes stand alone control panel that includes starters and controls for the granulator, a 10 hp blower (not included), and hydraulics. 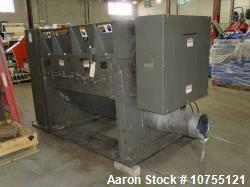 1999 model year.